Guide To Buying Venetian Blinds | Mini Blinds | Buy Online - BlindsOnLine.com Inc.
One of the newest additions to the BlindsOnLine.com inventory is the Venetian ‘mini’ blind. Unlike roller shades and other window treatments of the same nature, this Venetian shade is one of the most versatile and easy to use products of its kind. There are many reasons that DIYers, facility manager, fabricators, and contractors from all over the country are choosing to use mini blinds for building and renovation projects. For one thing, Venetian blinds come in over 26 different colors to suit any décor, but the customization options don’t stop there. These blinds, which are manufactured out of 6 gauge aluminum, can also be installed to use a heavy duty head rail. Moreover, mini blinds also come in a large number of different sizes to ensure that fittings can easily be adjusted, regardless of which home they are being installed in. At BlindsOnLine.com, we offer sizes that range from 9 and 1/8 inches all the way to a maximum width of 108 inches. Moreover, the Premium blinds from BlindsOnLine.com allow customers the ability to mount two blinds onto one single head rail. 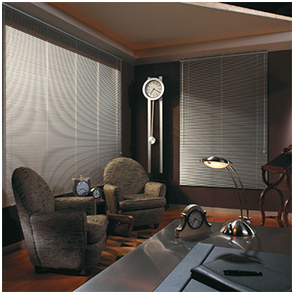 In addition to the benefits of using Venetian blinds, customers who purchase their products from BlindsOnLine.com will receive a matching dual slate valance along with a limited life time warranty. The dual slat valance is intended to match any home’s aesthetic style while seamlessly integrating into your blinds and the limited life time warranty ensures that homeowners live comfortably without having to worry about any problems or malfunctions. If your mini blinds stop working at any moment, you may be able to receive a new product thanks to our warranty with our manufacturers. Not only are Venetian shades are one of the most versatile window treatments that are available, but they are also the most affordable. Depending on which mini blind you choose to go with and your unique needs, you can expect to pay anywhere from $20 - $45 per blind at BlindsOnLine.com. - If you lack experience, this DIY job may require the services of a professional contractor. At BlindsOnLine.com we provide you with the tools and materials to successfully install any window treatment. - You will need to determine whether you want an indoor (mounted on ceiling or inside window frame) or an outdoor mount (mounted outside or on the frame of the window). - You will need a drill, a level, a pencil, a screw driver, and a tape measure for this project (at bare minimum). Step 1: Mount the brackets 3 ½ inches from each head rail end. Step 2: Prior to installing your blind, be sure to attach the wand. Step 3: Ensure the blinds are closed and install a bind into the brackets. Step 4: Once the blind is lowered to the preferred height, mount the hold down bracket so that it aligns with the bottom rail. Now that shoppers have the internet, they are not only able to receive their purchases with ease, but they can also research their products beforehand and determine just exactly what they are looking for. Although we do not install window treatments ourselves, at BlindsOnLine.com, we provide all of the necessary blinds and shades you will need to do it yourself at an incredibly affordable price. Armed with the above knowledge, you should feel confident to make an educated decision regarding whether mini blinds are the right window treatment for your project. 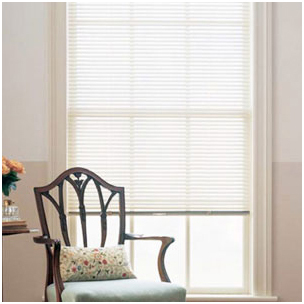 Browse our entire BlindsOnLine.com selection today by visiting our website to find your perfect window treatment.